Over the weekend I found myself at a Subaru dealer (my mother is car shopping, most likely getting a Crosstrek) - they had this. 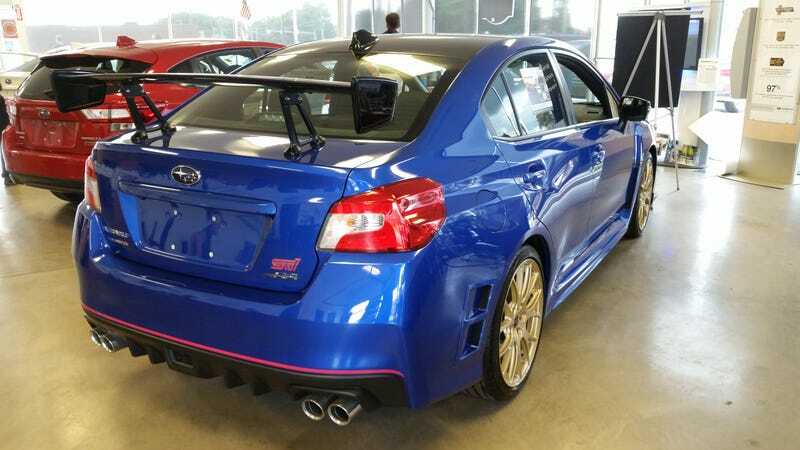 It’s very nice, but I don’t know that it’s $10k-more-than-a-normal-STI nice. Relatedly, I sat in another STI while waiting, which on the sticker mentioned it had a short throw shifter. They weren’t kidding, I think the knob moved about an inch between 1st and 2nd. That would take some getting used to.